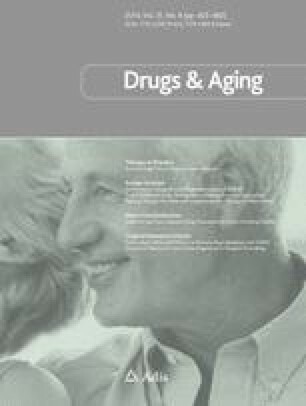 Throughout the literature, drug-related problems (DRPs), such as medication reconciliation issues and potentially inappropriate prescribing, have been reported to be associated with adverse outcomes in older individuals. Both structured pharmacist review of medication (SPRM) interventions and computerized decision support systems (CDSSs) have been shown to reduce DRPs. The objectives of this study were to (i) evaluate the impact of a specially developed SPRM/CDSS intervention on the appropriateness of prescribing in older Irish hospital inpatients, and (ii) examine the acceptance rates of these recommendations. We prospectively reviewed 361 patients, aged ≥65 years who were admitted to an Irish university teaching hospital over a 12-month period. At the point of admission, the patients received a SPRM/CDSS intervention, which screened for DRPs. Any DRPs that were identified were then communicated in writing to the attending medical team. The patient’s medical records were reviewed again at 7–10 days, or at the point of discharge (whichever came first). Of the 361 patients reviewed, 181 (50.1 %) were female; the median age was 77 years [interquartile range (IQR) 71–83 years). A total of 3,163 (median 9, IQR 6–12) and 4,192 (median 12, IQR 8–15) medications were prescribed at admission and discharge, respectively. The SPRM generated 1,000 recommendations in 296 patients. Of the 1,000 recommendations, 548 (54.8 %) were implemented by the medical teams accordingly. The SPRM/CDSS intervention resulted in an improvement in the appropriateness of prescribing as defined by the medication appropriateness index (MAI), with a statistically significant difference in the median summated MAI at admission (15, IQR: 7–21) and follow-up (12, IQR: 6–18); p < 0.001. However, the SPRM did not result in an improvement in appropriateness of underprescribing as defined by a modified set assessment of care of vulnerable elders (ACOVE) criteria. This study indicated that DRPs are prevalent in older Irish hospitalized inpatients and that a specially developed SPRM intervention supported by a CDSS can improve both the appropriateness and accuracy of medication regimens of older hospitalized inpatients. This study was funded by the Health Research Board (HRB) of Ireland. The authors of this study have no conflict of interest to declare. The authors thank the staff of the university teaching hospital in which this study was undertaken for their cooperation during the study period.